Whether you live in Chapel Hill, are just visiting, or are here to connect to your college roots, Top of the Hill – or TOPO as we have come to be known – is a destination spot. Our menu is loaded with locally-sourced ingredients, our acclaimed beer collection is brewed right here on-site, and our outdoor deck boasts a panoramic view of downtown. Rounding out the offerings are our event spaces that can host any occasion you can dream up. And, oh yeah, did we mention we also make our own spirits? That's right. It's all here at the top. Come join us. Top of the Hill was one of North Carolina's first microbreweries. With over 200 awards, our beers are some of the most celebrated in the country. The alleyway alongside our building holds the entrance to your favorite weekly haunt. Trivia Night at Back Bar has become a Chapel Hill institution. 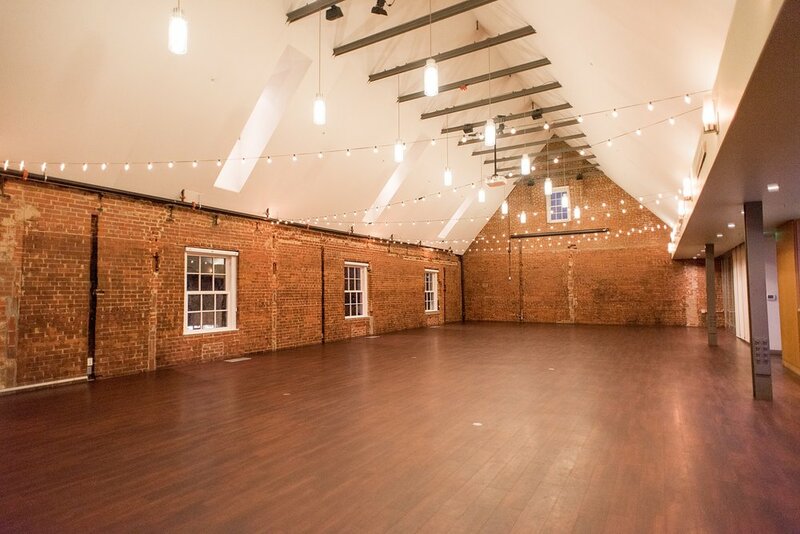 Have your own private Franklin Street celebration in the Great Room event space. Wedding ceremonies & receptions, private dining, large parties - we do it all. After 17 years of microbrewing, we are now proud to be North Carolina's first and only organic distillery producing grain-to-glass vodka, whiskey and gin. Hours may vary on UNC home basketball or football gamedays. You can book tours online! Please note that tour times may vary. We are located in the heart of downtown Chapel Hill, at the crossroads of Franklin and Columbia Streets. Our entrance is located on Columbia Street - take the elevator up to the third floor to reach our restaurant & brewery. Looking for Back Bar? Walk down the alleyway to the right of our main entrance on Columbia Street and head up to the second floor. Interested in learning about how Top of the Hill can partner with your non-profit group? Complete a request form and someone from our team will be in touch soon. © Top of the Hill Restaurant & Brewery. All rights reserved.